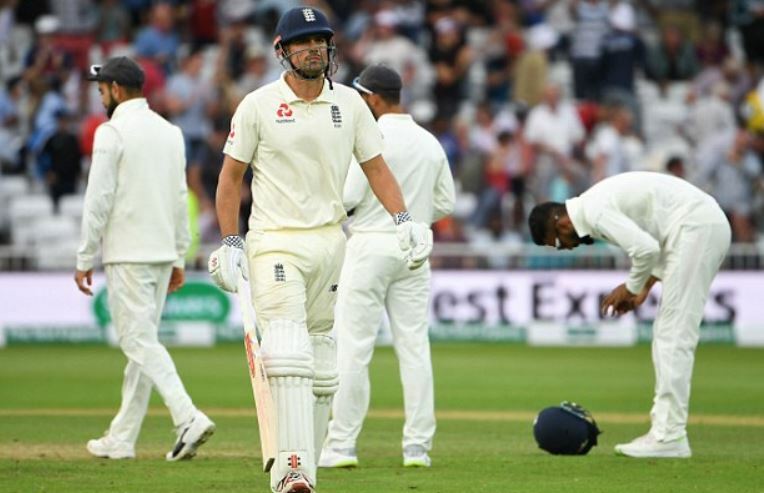 The Indian cricket team is currently locking horns with England for the fourth match of the 5-match Test series at The Ageas Bowl in Southampton. After winning the toss, the English skipper Joe Root decided to bat first with two changes in eth squad with Moeen Ali and Sam Curran replaced, Ollie pope and Chris Woakes respectively. On the other hand, Virat Kohli for the first time in his captaincy career of 38 Tests decided to go with an unchanged squad compared to the previous Test. Root’s decision to bat first has back-fired as they lost their first wicket on the first bowl of the third over of the match bowled by Jasprit Bumrah only to leave Keaton Jennings clueless who trapped in front of the middle stump. It was a kind of brain fade from Jennings, who miserable series continues. 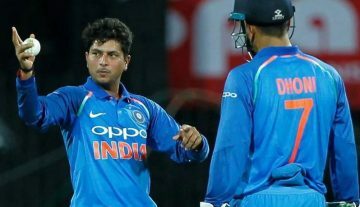 However, his opening partner, Alastair Cook also couldn’t resist for long as he was dismissed by Hardik Pandya in the 18th over and England was down to 36/4. Hardik Pandya once against struck in his third over of the match and this times it was the big fish, Alastair Cook, who played a memorable nock in Southampton against India in 2014. However, Cook got dismissed in a slightly uncharacteristic manner as the ball wasn’t short enough to cut, and he followed the angle going away from him and cuts it only to edge it to the Kohli, who took a blinder at the third slip. The ball was falling towards the left of Kohli and he attempted to catch it both hands near his toes.